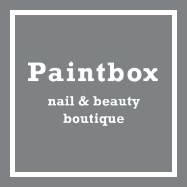 Paintbox Nails & Beauty, Harrogate is introducing two new Gelish colours just in time for Autumn! Dance, dream and fall in love under the starry skies of Spain. The new Matadora collection, rich culture and vivacious beauty with lavish fall colours. We have 'Don't Break my Corazon' and 'Mauve your Feet' ready for you to experience in the salon now.